I know, I know, I’ve been writing a lot about bullet pencils. I’ve known about bullet pencils for years; ever since I started antiquing with my mother. I’ve never paid them much mind, though. 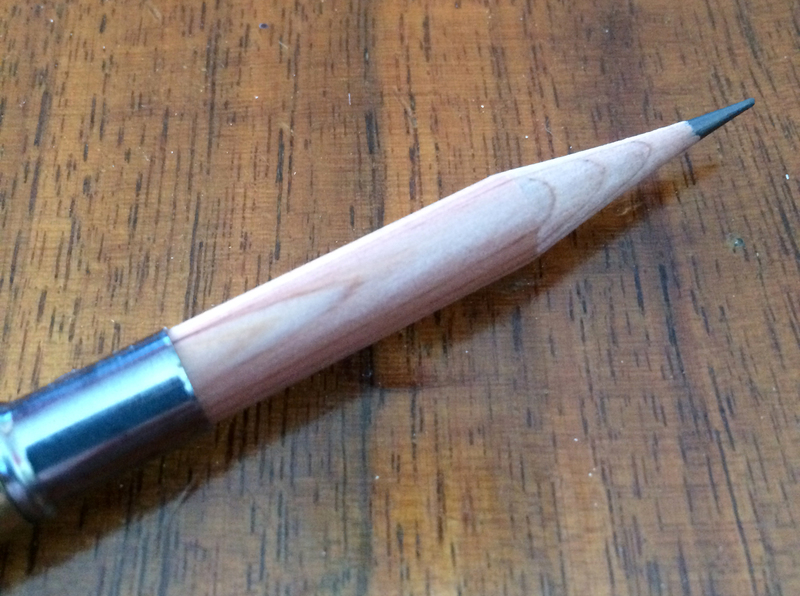 They were a niche that was too wide to explore, and would detract from my main mission: regular wooden pencils. Only in the last couple of years have I really become interested in owning some, ever since my friend Amber gave me a selection of vintage agricultural vendor pencils. These are all well and good to collect; to polish and display and cherish, but what about actually using them? Aaron Draplin uses the old ones and just ignores the petrified eraser. Craig over at The Jungle is Neutral uses the old ones, too, going so far as to strip an old one down to the bare bones, switch out the pencil, polish the eraser, and put that to strenuous field use. I did something similar to an old one, though I left the wonderful graphic wrap on the barrel. But I’ve become interested in what one can buy now. What kind of bullet pencils are available on the market today? Not a lot, it seems. But I’ve been able to get ahold of a few of them, and pitted them against each other. After spending some time on eBay, I ran across a vendor selling, in bulk, blank, white bullet pencils — 100 for $20. That should have been a red flag. But no, I pressed the “Buy Now” button. After all: 100 bullet pencils? For 20 bucks? Sounds great! After a week or so, they showed up, and I tore into the package. I was immediately disappointed — the pencils have fallen out of their sheath in transit, so the envelope was a mess of graphite and dirty plastic. How did this happen? The pencils are so shoddily constructed, the back of the pencils don’t fit into the sheath, so they don’t stay together. It may be hard to see here, but the writing on the product above (the bulk bullet pencil) is much lighter than the Midori Brass pencil, seen below. This pencil performs similar to one of those cheapo golf pencils you can buy at Office Depot; 144 for $7. 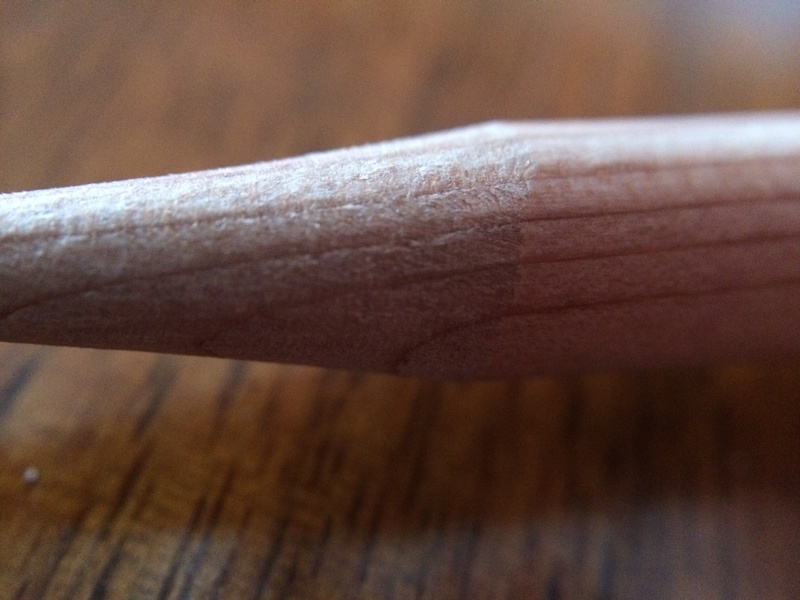 The core writes too lightly, the wood splinters when it’s sharpened, and there’s no heft to the pencil — it feelsl like it’s completely plastic. I’ve had my eye on this, ever since I became interested in bullet pencils. Recently, I made a connection with Elaine from JetPens, who was interested in partnering for some product reviews. 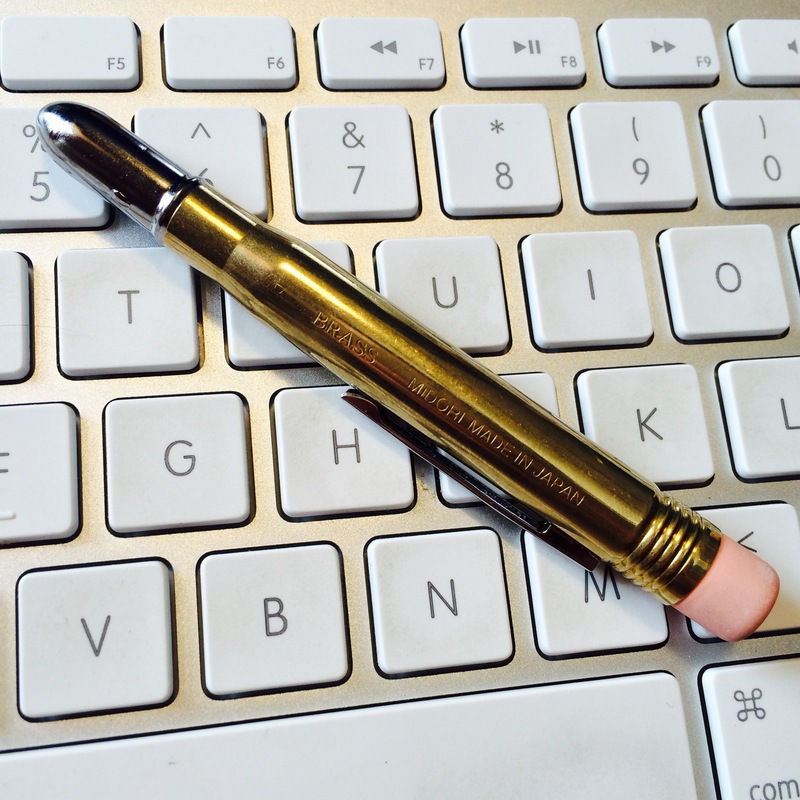 Among a few other goodies, she sent me a Midori brass bullet pencil, which I’ve had my eye on for a while. The Japan-based Midori Stationary Company is pretty cool. I’ve never used any of their products before, but they seem to have everything — paper, notebooks, things like staplers, paper cutters and paperclips, and pens. From what I can tell, this is the only pencil they make. They also have a bullet pen, which is similar in frame to the pencil. The four components that make up the Midori brass bullet pencil. Simple and high-quality. In a nutshell; it’s really solid. It’s made of actual metal, which automatically puts it light years ahead of the plastic ones. The eraser, which fits neatly into the ferrule that’s machined from the same piece as the sheath. 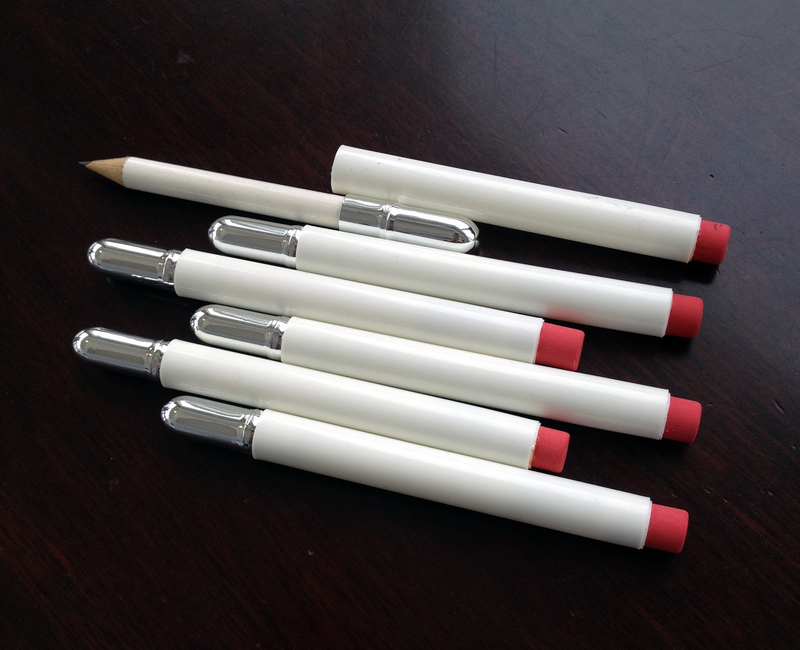 It’s a little wider than a normal eraser, so it should last through several new pencil inserts (and when it finally does wear down, refills of the pencil and eraser are available for purchase). Speaking of the pencil insert, it performs really well. Typically, I’m not a fan of round pencils, and I am usually ambivalent toward natural, wood, but the quality of this really shines through. Just look at this grain! There is a faint, matte, clear lacquer on the barrel that gives it a silky, soft feeling. it’s light weight, but not cheaply, which is an interesting sensation because the brass sheathe is fairly weighted. That gives it a decided top-heaviness that emulates old, vintage bullet pencils. How does it perform? It’s smooth and dark, and definitely of high quality. I’m pretty unfamiliar with Midori’s other products, and this seems to be the only thing they make with a wooden pencil. I’m glad to know they took care to use a quality pencil, instead of inserting some generic golf pencil, which would be easy to do. Also of note is the pocket clip, which admittedly I don’t use. Normally I just toss it in my front pocket with my keys. I can whip it out to jot something down in my Field Notes. But if I wanted to clip it to a shirt or to the notebook, the clip is great. 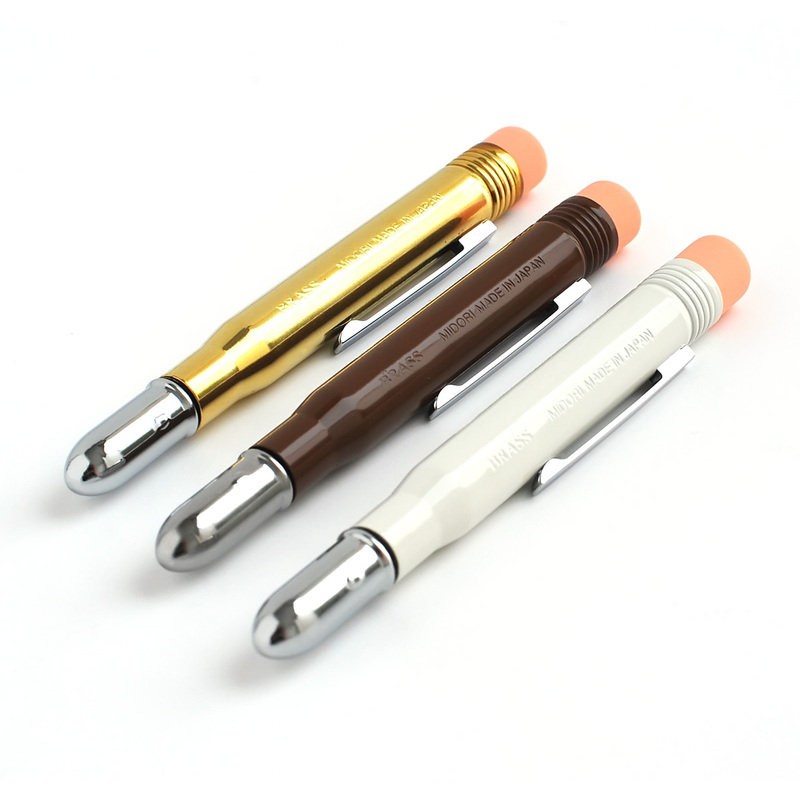 The Midori is available in three colors — original brass like mine, brown-coated and white-coated. I vastly prefer the brass color over the others. According to Jetpens, the “[b]rass body will develop the characteristic vintage look over time.” Which makes sense. The major downside of the Midori pencil is its price — it’s $21, which to be honest, isn’t that much of a problem, because this thing will last a long time. And while it costs more than a hundred times the price of those other pencils, it is literally worth a hundred times more. So you’re still getting your money’s worth. 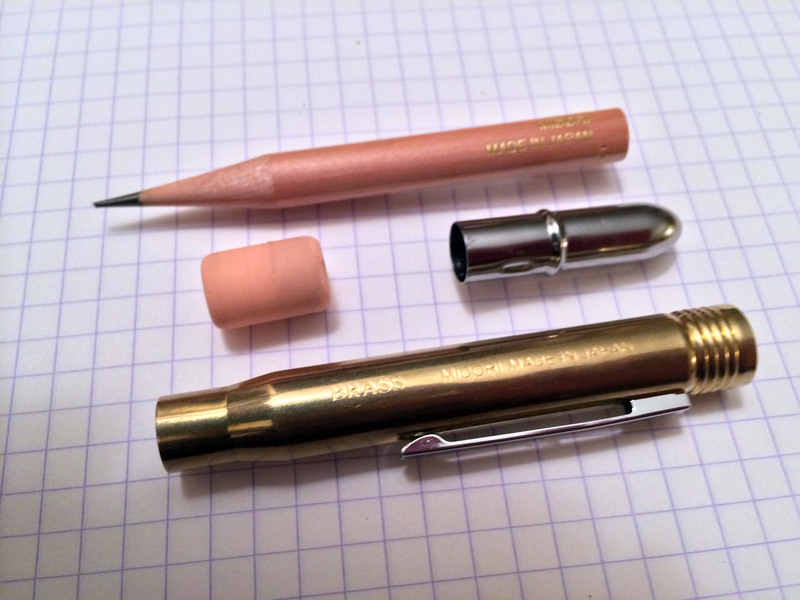 I think the choice is clear: if you have any desire to use a bullet pencil, and you want something more functional than an old, vintage bullet pencil, spend the $21 for the Midori brass pencil. 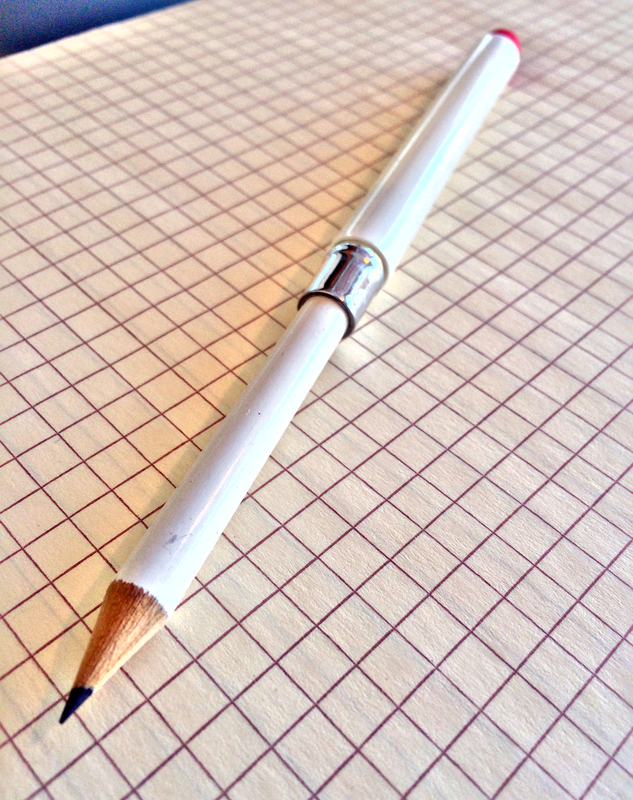 For the love of Pete, learn from my mistakes — stay away from the crappy plastic pencils. I think there still exists a market, however niche, for a good quality plastic bullet pencil. Something right around the $5 price point. If there is a new pencil I can buy like that then brother, let me know. But in the meantime, this Midori pencil is a keeper. I don’t usually have the attention span to personally subscribe to the concept of an “everyday carry” like my new scribomechanica friend Tim, but this is solid, beautiful, unobtrusive and perfect for a permanent addition to my arsenal. Thanks for this post! I have been eyeing one of those 100 Poop Bullets lots on eBay for a while, but I never pulled the trigger. That brass one is gorgeous! Does it get a patina over time? Seriously, though, ladies and germs. I am led to believe the brass pencil will get a patina after normal use. I haven’t had it long enough to develop anything but fingerprints, but I’ll check in again in a few months. I wonder what the patina on the white or brown one would look like over the brass? Patina = Awesome! I used to polish my brass sharpeners (nerd alert! ), but now I let them get a little…well-loved. Why the threaded end on the brass bullet pencil? Does Midori sell a cap which screws on over the eraser? I don’t believe there is an attachment — the threads are most inward pointing, so you can really get a good grip on the eraser. You can still pull the eraser straight out, but I think this just served to grip it a bit better. Thanks Andy, I realized after posting that the “threads” weren’t continuous, that they were really more like ribs. Excellent closeup photo BTW. Awesome review Andy. I’ve been looking at those umpire pencils too. Thanks to you I can dismiss them summarily. It’s a little synchronistic that you reviewed the Midori pencil just days before I receive the one I have on order. I’m a big fan of the vintage pencils and from the sounds of it the Midori pencils are every bit as cool :). No problem, Craig! If it wasn’t for you, I’d have a much harder time with finding out all the info I have about bullet pencils — you’re a great resource, for sure! Enjoy your Midori, and tell me what you think! * A new-build brass bullet pencil 🙂 That’s a good thing. 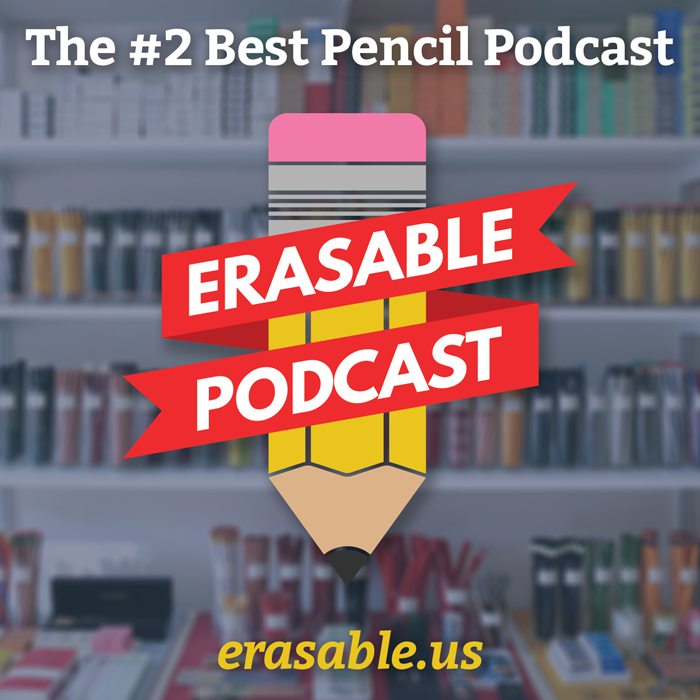 * Compatibility/interchangeability – the eraser and pencil don’t fit other pencils and vice versa. For instance, if you wanted to replace the supplied pencil with one of your choosing, you can’t without suffering an improper fit. 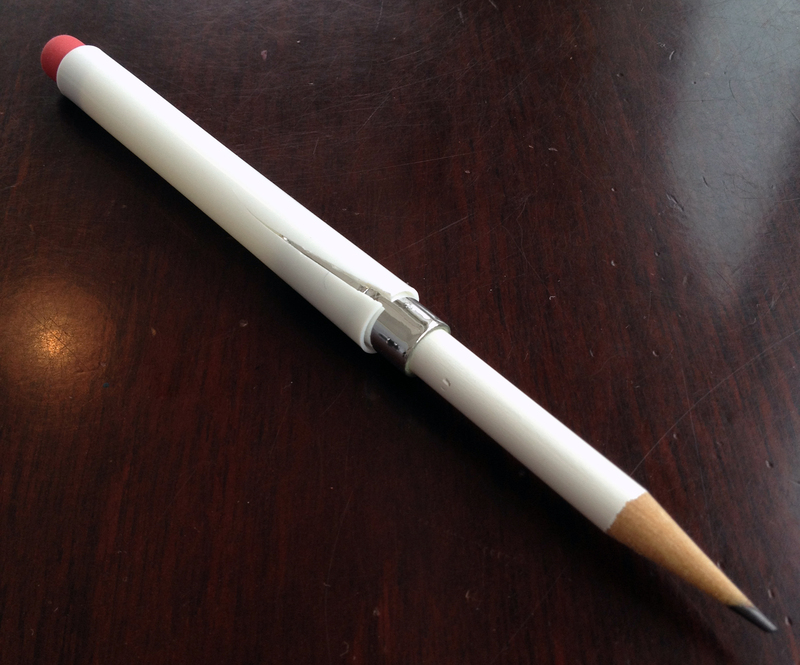 For me this is a big issue – it’s a pencil, not some piece of proprietary tech. Wow, I’m so happy to find a discussion on bullet pencils! 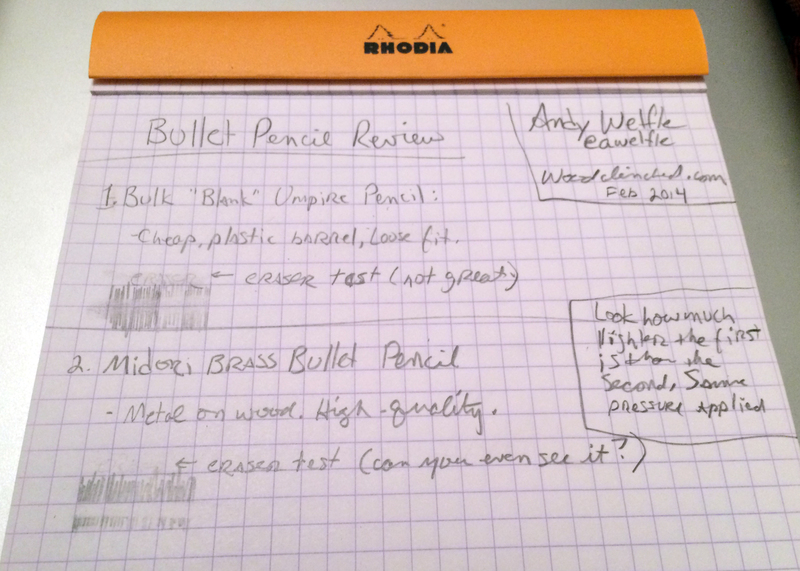 I’ve had the Midori bullet pencil in white for a few years; I love it… however, it does have some downsides. As thejungleisneutral pointed out, you can’t just put in any pencil; most american pencils are slightly too small and fall out. That’s a major bummer as one of the draws to using a bullet pencil is the opportunity to continue the life of favorite pencils once they get too short to use comfortably. I’ve tried golf pencils, IKEA pencils… all too small. 😦 As Andy pointed out you can buy refills from Jet Pen, for erasers and pencil inserts but buying refills from Japan is not my idea of sustainability. My second issue is going through security check points with this pencil WILL get you pulled over to a ‘special’ area. This happened to me at a Fed building in Philadelphia, where I was attending a friend’s naturalization ceremony. Homeland Security was like, ‘uh, maam, do you have a BULLET in your purse?’. Luckily, when they saw the pencil they were good sports about it and gave it back to me BUT it caused a big delay, and could have been a lot worse. I haven’t tried using the vintage bullet pencils yet, but that was my next move. I bought some eraser refills from Penn State Industries that SAY they are for bullet pens. If they fit then I’m definitely going to be on the hunt for some cool vintage bullet pencils at antique markets.